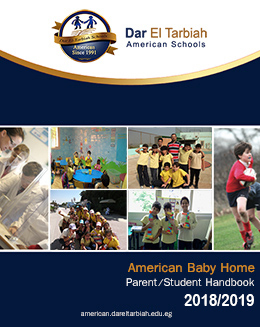 Communication with parents is a vital part of the home-school link. Communication helps to establish the relationship that will result in better student achievement. Conferences with parents are considered an integral part of the school's system for reporting student progress to parents, both positive and negative. The School schedules regular parental meetings to discuss their son / daughter progress with the teachers and the administration. From time to time, parents may be requested by the administration to attend one on one counseling session concerning their son / daughter. When this is required, parents will be informed by a written request as well as by a phone call. Parents should feel free to call the school to arrange an appointment, whenever they that deem necessary to meet with the teachers. 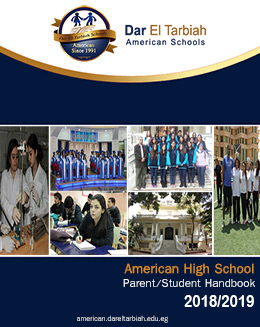 Dar El Tarbiah American Schools have 4 regular parents' meetings, after each quarter exam. Same time, parents of weak students have special meetings, to discuss ways of help. Teachers are available 5 days a week from 12: 00 to 12: 30 to meet any parent who has any inquiry.